On November 30, 2018 AD LOVE, a tennis apparel brand, and New York Junior Tennis & Learning partnered to host the first-ever NYJTL X AD LOVE Draw for Love Challenge. The challenge? 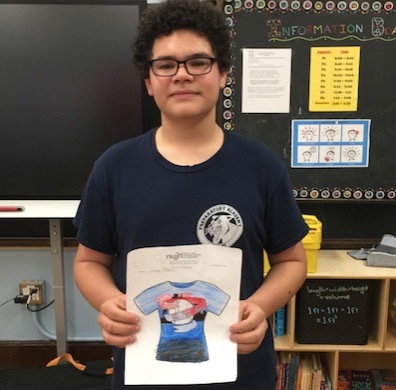 Over 1,000 students in the NYJTL ACES Program created t-shirt designs featuring elements of New York City, love and (of course) tennis. One winning design has been made, and is now for sale, as an AD LOVE shirt. The winner? Conor, an 8th grader from the Bronx came up with the winning concept. such as tennis classes, art classes, and educational enrichment. quick interview. You can view the video here. edition Draw for Love Challenge shirt, here.